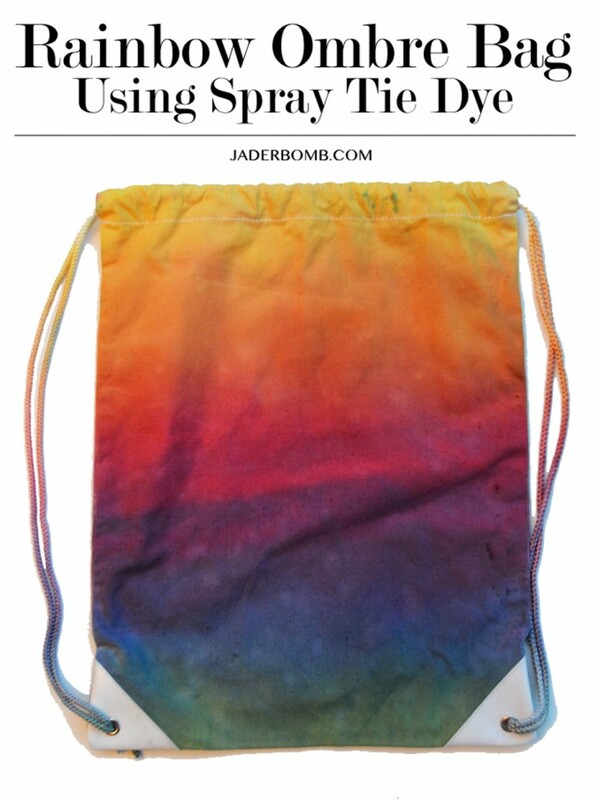 Today I will show you how to make this rad Rainbow Ombre Tie Dyed Bag! I don’t know about you but I feel like my soul never left the 80’s and with that being said it’s clear that I still love anything Tie Dye! Seriously, my boho hippie soul would rock this to just about anything. Now if rainbow isn’t for you no worries because you can still follow my steps but do which ever colors that fit your fancy pants! Who’s ready to go back to Woodstock, I know I am! Summer is always an exciting time of year especially when you can express your personality with your backpack. Tulip One-Step Tie-Dye can make this happen in a matter of minutes. I always have a hard time choosing the colors I want to use so in today’s post we will use the 3 primary colors. You can never go wrong with these colors because you can create so many shades with them. When you open your kit it comes with everything you need. 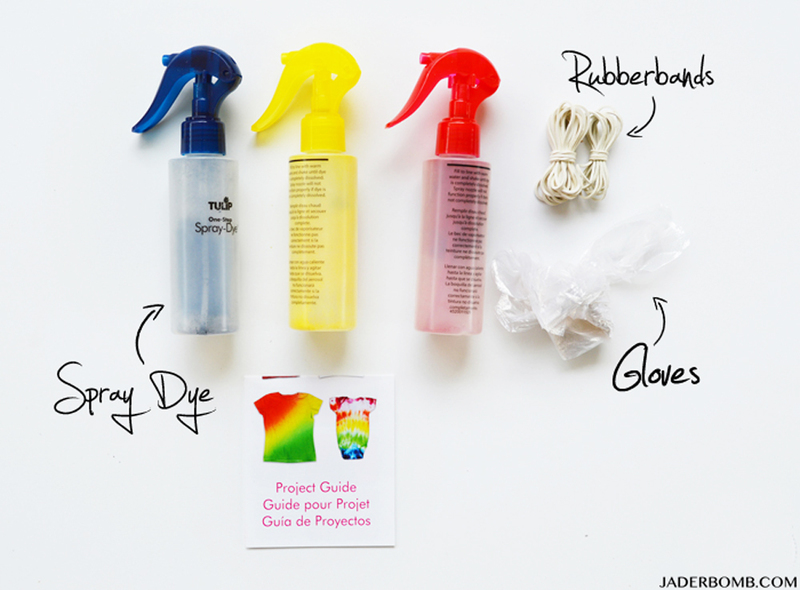 Bottles that are pre-filled with dye powder, rubber bands, plastic gloves and a project guide. How freaking cool is that. It’s like a one stop shop! 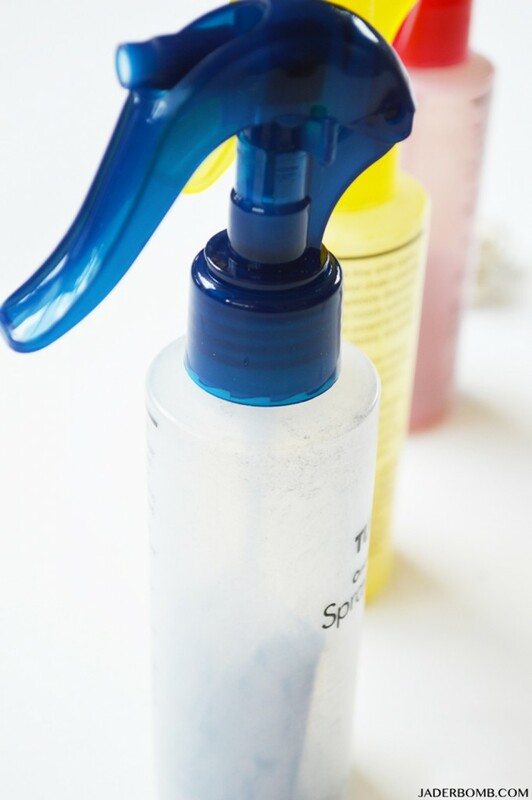 I love how each bottle’s spray top matches the color that is inside. This makes it easy when storing. The first thing you will do is fill the bottle with water all the way to the black line. 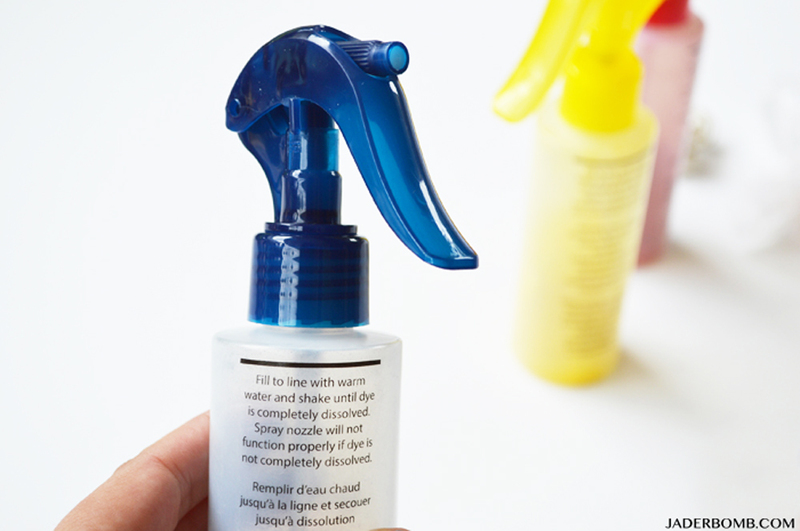 Make sure to use warm water when filling your bottle. 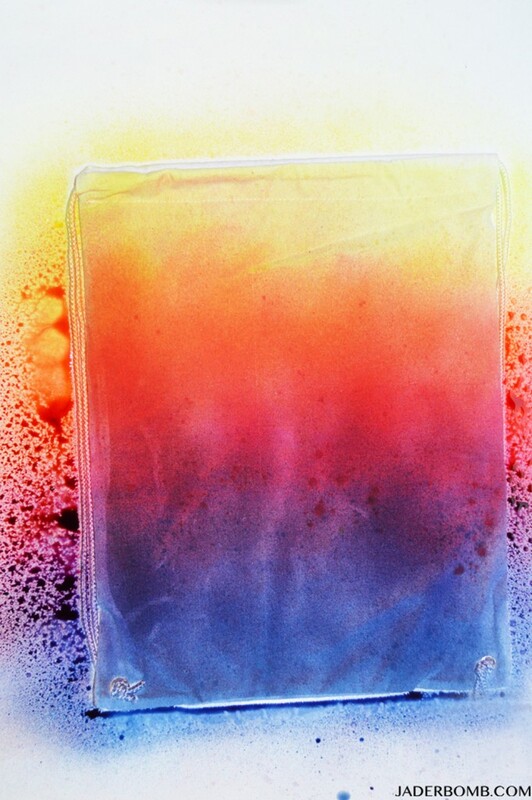 I am leaving my bag dry when applying the spray dye. Some instructions will tell you to wet your fabric before applying dye but for this project we are going to leave it dry. Start from the bottom and use the darkest color and gradually go up with red in the middle then yellow along the top. After you apply these three colors let it sit for about 2 minutes. Grab your yellow and spray on top of the red dye, it will start turning orange. Apply blue on top of the red and you will see it change to purple. Add yellow on top of the blue and you will see green come through. !! !How fun is this so far! I want to do this to everything I own now! I think bed sheets would be amazing! 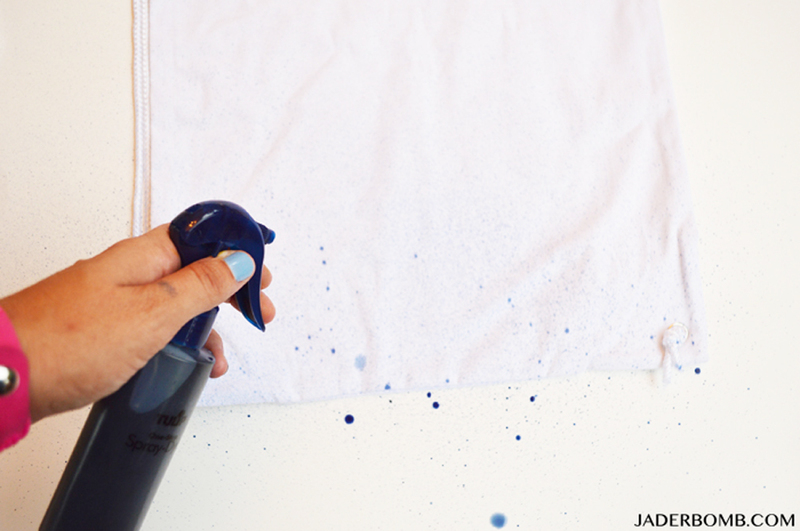 Also, you can continue to spray over and over on top of each color until you get the shades you are happy with. 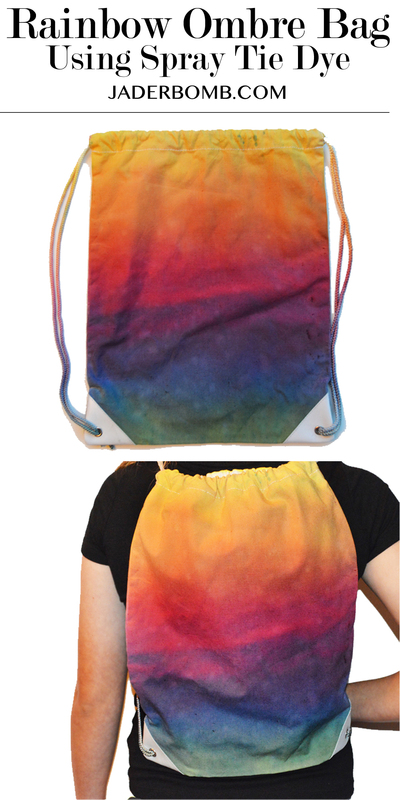 Are you drooling yet over this Rainbow Ombre Tie Dyed Bag!!!! Let it sit over night to dry and this is what it will look like! Notice I even dyed the string straps! I always hand wash and let hang dry when I am completely done. I am absolutely in love with this project. It’s fun, easy and kids or adults will love doing it! Have a great SUMMER and don’t forget to show your personality in everything you do, because there is only one you! Sending ton’s of Tie-Dye LOVE your way! 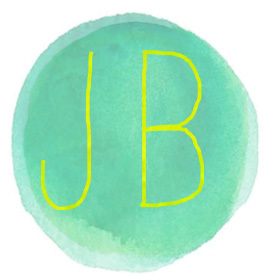 Make sure to visit me in social media land… We can totally be online besties!